With National Apprenticeship Week now underway, many young people are considering their post-education plans and looking at potential career paths. Careers in construction present a variety of diverse opportunities, not only out on site but also office-based roles such as Business Support, Marketing, Quantity Surveying and Estimating. Woodhead has seen apprentices play a key part in their success since they employed their first apprentice in 1950. Many apprentices employed by Woodhead have since progressed on to more senior roles and some are even managing their own apprentices. Anthony Leach began working at Woodhead following redundancy from his previous employment where he had started an apprenticeship in joinery, working as a shop fitter for a few years. He said: “I was lucky enough to be able to complete the final year of my apprenticeship with Woodhead. Having worked for a while on site I decided that I’d like to work towards becoming a site manager. Anthony is now a qualified Site Manager and has managed several projects through to completion for Woodhead. He is now managing a new build construction site on Scarborough Road in Bilsthorpe for Newark and Sherwood Homes. The development is now nearing completion and saw the training of his first apprentice, Jaydan Mosler who has recently won an Apprentice of the Year Award following a nomination from his by his assessor at The Dukeries Academy. Jaydan, 19, lives locally and went to school just around the corner from the site on which he is now working. Having left school he attended sixth form at Sutton Community Academy where he took his Level 2 NVQ General Maintenance Operative qualification, which sparked his interest in construction. “I’ve always enjoyed working with my hands and knew I wanted a job in this industry,” said Jaydan. 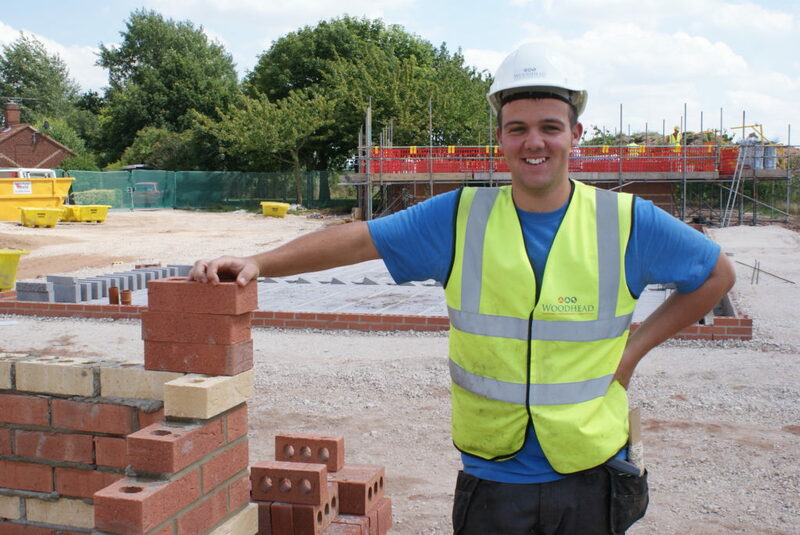 Jaydan is part of the Woodhead Living team working on the construction of 25 two-bedroom bungalows for people aged 55 years or above, on behalf of Newark and Sherwood Homes and Newark and Sherwood District Council. The properties are being built using grant funding from the Homes and Communities Agency. As well as going to West Notts College one day a week to complete his qualification, Jaydan is able to learn from the skilled team of people at Woodhead including his mentor Anthony.